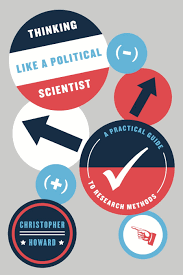 In Thinking like a Political Scientist: A Practical Guide to Research Methods, Christopher Howard makes a compelling case for transforming how research methods are taught to undergraduate students of political science. Through its accessible, easy-to-follow approach, this new guide equips and encourages the next generation of political scientists to undertake research that has the potential to directly impact pressing political issues, writes Iván Farías Pelcastre. Thinking Like a Political Scientist: A Practical Guide to Research Methods. Christopher Howard. University of Chicago Press. 2017. There is an often overlooked fact at the heart of political science: the study of politics has been the realm of moral philosophers, legal thinkers and public administrators for longer than it has been that of scientists. Despite their late arrival, political scientists confidently argued that the use of the scientific method in their analyses of political phenomena enabled them to understand corresponding causes and effects in a better way than previously. They claimed they could study and explain the emergence, functioning and development of former and modern polities in an objective, rigorous and value-free way. This allowed them to rapidly appropriate a field that is nearly 2,500 years old. Ever since, the discipline of political science has been built upon the conviction that there is only one way to study politics objectively: through empirical, measurable and evidence-based research. To become effective political scientists, then, contemporary students of political science (and by extension, international relations) are expected not just to learn about, but also conduct valued and insightful research on domestic and international political structures and phenomena. They are also expected to publish written work that provides suitable and innovative causal explanations about the origins, functioning and development of these same phenomena. Despite these high expectations, few books, and even fewer academics, ever manage to help students truly understand and think critically and systematically about the domestic and international political issues taking place around them. At times, teachers of political science introduce students to multiple theories, issues and debates, but fail in helping them to develop the critical judgement to analyse them. Moreover, many research methods textbooks (and teachers) nowadays are mainly, or only, concerned with teaching how to use statistical software packages in lieu of a comprehensive course on how to gain effective research skills. To address these gaps and contradictions, it is therefore necessary to change our collective approach to the teaching of research methods. In Thinking Like a Political Scientist, Christopher D. Howard contributes to such a change. In this short but excellently written book, he makes a compelling case for transforming how research methods are taught to undergraduate students. Howard rightly argues that students of political science ‘are better off learning a handful of skills, and learning them well, rather than being overwhelmed by a multitude of concepts and formulas’ that is currently the subject of numerous research methods courses (4). The book’s main aim is to enable students to develop their own skills as researchers, so they can generate and advance our common knowledge about domestic and global politics. The book achieves this objective by introducing its readers, step-by-step, to political research design, while maintaining an excellent balance between substance and humour that is hardly ever seen in other research methods textbooks. Its accessible language and easy-to-follow structure and examples prompt students to move away from the mere memorisation of facts, formulas and theories towards a more critical evaluation of their own ideas and works – both inside and outside the classroom. The book is divided into two main parts: ‘Asking Good Questions’ and ‘Generating Good Answers’. In Part One, the author introduces readers to the significance and value of asking – and confidently answering – the three main questions underlying any worthy political research: ‘who cares?’; ‘what happened?’; and ‘why?’ Some of the skills discussed in this section include: how to ask (and successfully answer) causal questions featuring independent, dependent and intervening variables; how to pick good cases for testing a hypothesis; and how to distinguish causation from correlation. Answering these questions serves as the basis for teaching students other valuable research skills, including, for instance, how to work with ‘big’ concepts, such as democracy, peace and security. These lessons will prove relevant to students of any sub-discipline of political science and international relations, including comparative politics, political economy and political theory. In Part Two, meanwhile, the author provides a short guide to some of the most common and essential tasks of political scientists, including how to choose an appropriate research design; how to choose and conduct experiments to test a given hypothesis; how to select suitable cases; and how to use evidence to adequately support one’s arguments and hypotheses. Throughout these sections, the author also discusses how to gain and strengthen other valuable research skills, such as writing strong literature reviews, recognising authoritative research and addressing common hurdles, such as the lack of sufficient data on a given issue or phenomenon. Just as importantly, the book helps students to understand what political scientists – including their own research methods teachers – expect from them and their research. For instance, the book dispels the widespread myth that undergraduate papers should always offer a truly original argument. Howard reassures students that they do not need to search for (least find!) the ‘holy grail’ of politics when writing research papers. Instead, he clarifies that the main point of political research is simply ‘to figure out a way to move the conversation forward, even if only a little bit’ (23). It is this kind of valuable insight that makes Thinking Like a Political Scientist truly stand out from other research methods textbooks. The book’s most important contribution to the literature, however, was probably unintended. It hints at the possibility of further change in our collective understanding of the main aim of political research. At first, Howard explicitly states that political scientists prize causal knowledge highly, following the longstanding convention that research should be simply devoted to explaining political phenomena – not changing material realities. Afterwards, however, he challenges the notion that political scientists should always conduct empirical, as opposed to normative, research in the pursuit of knowledge. He concedes that, at times, the most persuasive political research is when researchers ask normative questions, moving deliberately and decisively from abstract ideas and theories towards concrete proposals for addressing domestic and global political issues. Finally, Howard acknowledges that political scientists will, and often do, try and engage in conversations that extend beyond academia. Hence, he encourages students to conduct research that goes beyond simple essay-writing, number-crunching and chart-making. Instead, he advises students to stop, reflect and ask themselves: ‘what makes a political puzzle so important that readers will devote some of their scarce time and attention to understanding it better?’ (25). He argues that students should aim to produce research that truly connects with its readers, that persuades them to stop, listen and engage with it. Perhaps then, in the future, the aim of political research will not only be to extend, refine and challenge our knowledge of domestic and global politics, but also to propose solutions to actual political problems affecting people around the world (25). 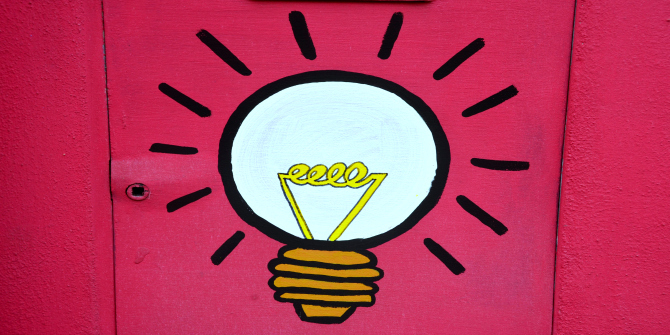 Thinking Like a Political Scientist contributes to move the debate in this direction. And, most importantly, it does so in the most effective way: talking directly to the next generations of political scientists (and their teachers). Iván Farías Pelcastre is a Vacation Visiting Research Fellow at the Rothermere American Institute, University of Oxford. He holds a PhD in Political Science and International Studies from the University of Birmingham and a BA in International Relations from the Tecnológico de Monterrey. He is particularly interested in the analysis of policy interdependence and political integration between Canada, Mexico and the US resulting from the operation of the North American Free Trade Agreement (NAFTA), its side and parallel accords and their corresponding institutions. He is currently writing a monograph on this subject under contract with Routledge. Read more by Iván Farías Pelcastre.